When should Kids Rock their First Concert? I remember when the kids were little; we would attend many concerts and events that had the kids dancing, singing, and having a blast. These events included “extreme” artists and bands such as, The Wiggles, Laurie Berkner, oh and of course who could forget the biggest rocker, Barney. These were fun and enjoyable events for the kids, but what we are really talking about here is the modern concert. My girls Teah and Corrine over the last couple years have really gotten into music. Teah is 12 and Corrine is 10. They love listening to music all the time, whether it is in the car, in their room, or just hanging out, you can often see them bee-boppin around with their headphones on. 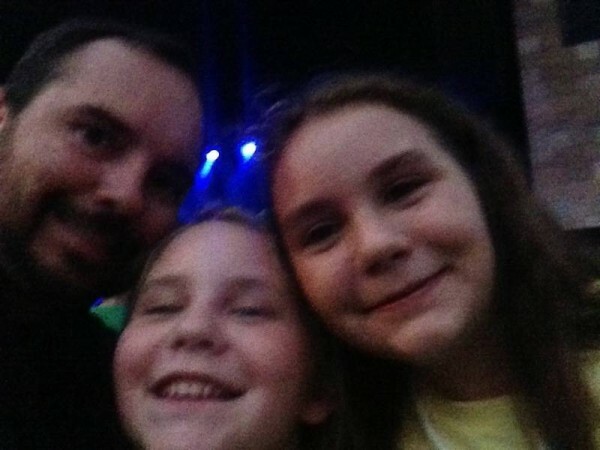 I decided this summer to take them to their first concert. The girls like a good mix of music and have listened to many of the artists I have introduced them to, even while their friends are listening to the typical teeny bopper bands. This summer the band “The Postal Service” came to our area. This was the first time the band had toured, even though their one and only CD came out the same year Corrine was born in 2003. The girls really liked this band and it seemed like a good opportunity to take them to their first concert. 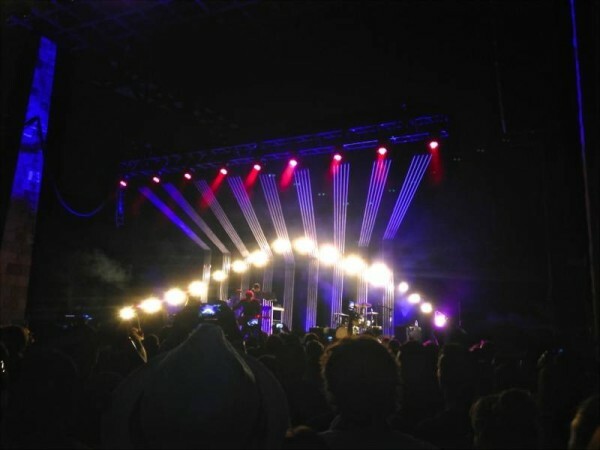 Always Research the Concert and Band before taking Kids – Even though “The Postal Service” is a tame band, no cursing or provocative lyrics, they chose an opening act that was quite the opposite of that. Luckily I had researched both artists and watched footage from their concerts before hand. This led me to make sure we “missed” the opening act. Many of the even mainstream artists have concerts that are filled with language and sexual innuendo. This is why it is so important to watch footage of the concert on youtube prior to taking kids. Choose Seated Options if Possible – Though general admission and floor seats are usually less expensive, the floor can get more crowded and be harder for kids to see. On top of this if it is a long concert, kids can get tired of standing. Age makes a big Difference – Teah who is 12, really enjoyed the concert and had a great time, she danced the whole time, cheered and really got into the experience. Corrine who is 10, loved it and danced for the first few songs then got tired and wanted to sit. Since we had floor tickets this really wasn’t an option. Though both girls are really into music, I feel Teah was more ready for the experience than Corrine. Ease them in through local Events, Fairs, or Park Concerts – Many local cities have park concerts and events. These are great ways to see how kids can hold up and react to the concert experience. Concerts and music can be an enjoyable and great family experience that you can have with your kids. Be aware that some concertgoers bring negative elements such as paraphernalia, cigarettes, and alcohol to enhance their experience. It is best to stay aware of these elements and avoid them. Though these elements are bad, it can also be a good reason to discuss these types of things with your kids. The biggest thing about taking your kids to a concert is to have a good time, dance with your kids, and enjoy bonding with them on a level you may not otherwise have the opportunity to. How fun! 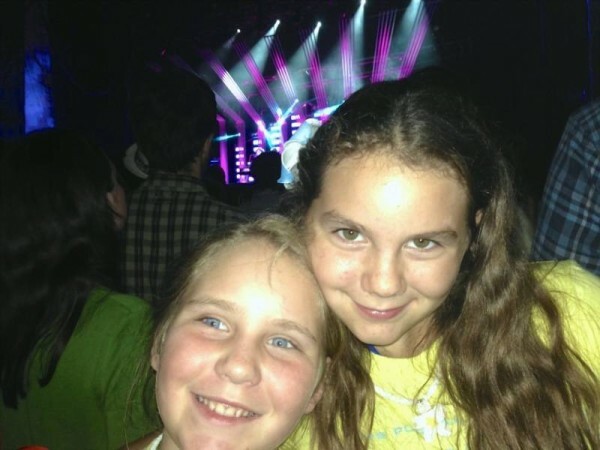 My girls are 8 and 7 have enjoyed their first “real” concert this summer when we took them to see Big Time Rush and Victorious. Concert was good choice – the heat was a bit much though so it’s good to keep the age, venue and weather in mind too. What great tips, they seem to have had a blast.